Guilt is a powerful feeling. It can keep you from doing many things, including going to the dentist. The good news is that Erich M. Werner, D.D.S. is a judgement-free zone, and coming back (even after an extended period of being MIA) can be easier than you think. Our goal is to make you as comfortable as possible during your first appointment back with us — so here’s a little overview of what you can expect. You’ll finish up with a comprehensive exam, which will review everything you covered with the hygienist. Dr. Werner will go over your medical history with you and address any dental concerns that might remain. If any special treatment is needed for such issues as cavities or broken fillings, we will discuss that with you as well. Just because you slacked for a little while or life got in the way, this doesn’t mean things have to stay that way! We’re happy to help you get you back on track, so schedule an appointment at our Los Gatos, CA office today! 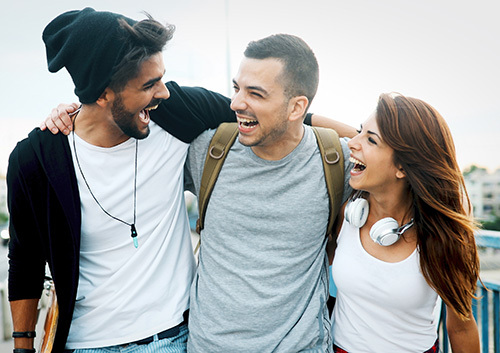 Many adults and teens in our Los Gatos, CA office would love to have their teeth straightened but are unwilling to go through the long and often embarrassing process of wearing traditional metal braces. Invisalign® and Invisalign Teen® clear aligners offer the perfect solution: They’re the most advanced clear aligner systems in the world! Invisalign aligners are made of a smooth BPA-free plastic and are more comfortable to wear than traditional braces. You’ll need to visit our Los Gatos, CA office less often: only once every six weeks or so. Before starting treatment, you’ll have a consultation with Dr. Werner to see if Invisalign or Invisalign Teen treatment is right for you. After that, you’ll have X-rays, pictures, and impressions taken of your teeth. That information will be used to make the 3D models of your teeth that let Dr. Werner see how they will move throughout the entire treatment and approximately how long it will take. Ask a member of our Los Gatos, CA team for more information about Invisalign clear aligners today! 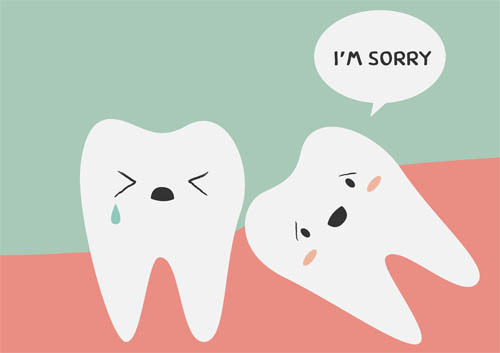 If you are suffering from impacted wisdom teeth, the best solution is usually going to be removal. This is not a problem that will resolve naturally, and in fact, your pain and other symptoms may worsen as your wisdom teeth become increasingly impacted. At Erich M. Werner, D.D.S., Dr. Werner can review the details of wisdom teeth removal surgery with you and help you determine if this is the best solution for your situation. 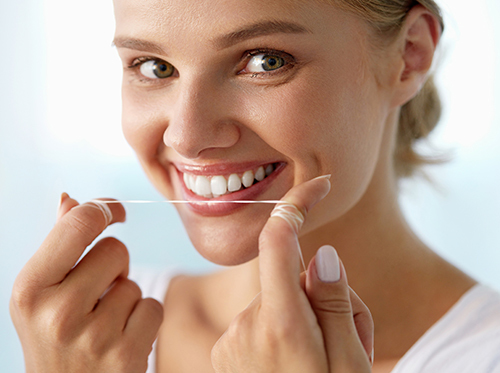 A vital step in your oral health routine is flossing. We hope our patients at Erich M. Werner, D.D.S. maintain good oral hygiene, including daily flossing between each visit to our Los Gatos, CA office. A toothbrush is not always enough to get to the hard-to-reach areas of your mouth. When food remains between your teeth, bacteria starts to grow and will break down your enamel. This is where flossing comes in! Although you should brush your teeth at least twice a day, Dr. Werner and our team recommend flossing your teeth thoroughly once a day. Many people prefer to floss before bed, so that plaque doesn’t sit between their teeth all night. If you’re having trouble flossing or have questions about which floss is best for your teeth, contact our Los Gatos, CA office and we can provide you with support. Be sure to keep up with your daily flossing routine, and we will see you at your next appointment!